The Royal Bank of Canada (RPC) has been added to the list of the top 30 banks posing the greatest risk. The top US bank is JP Morgan which is now the only bank required to hold an extra 2.5% of common equity after its US peer Citigroup moved down a tier required to hold 2% extra. All of this is very nice, but also misleading. The Stress Tests by no means are realistic. It is assuming a single failure and certainly does not even take into consideration a CONTAGION, which nobody understands and there have been no models that will even simulate such events outside of what we have specialized in. The CONTAGION is what created the Great Depression and Herbert Hoover in his memoirs explain how capital acted “like a loose cannon on the deck of the world in a tempest-tossed ers.” Even the CONTAGION that hit in 2010 when Greece petitioned the IMF for a loan and traders immediately looked to see which country would be next, people do not understand that once blood is drawn, capital responds rapidly in the entire spectrum. 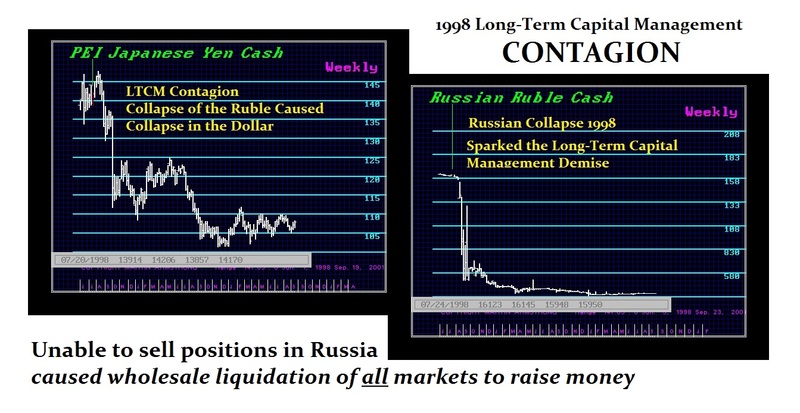 Even during the Long-Term Capital Management debacle in 1998, the crisis was in Russia. That sets off a need for liquidity and then all other markets are liquidated trying to raise cash. This is how a CONTAGION unfolds overpowering the fundamental analysis entirely. 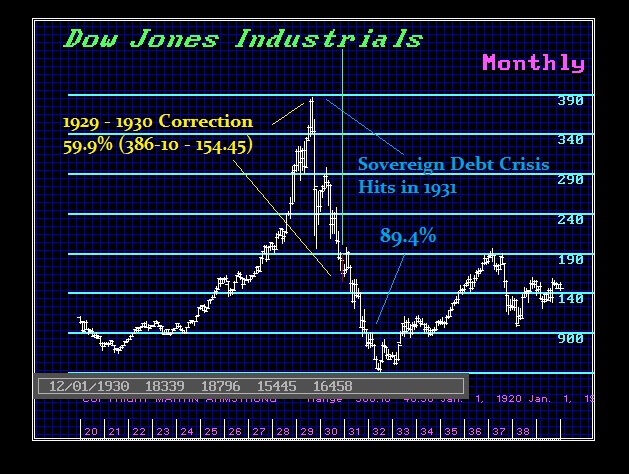 Economics to this day still does not comprehend the CONTAGION that hit in 1931. 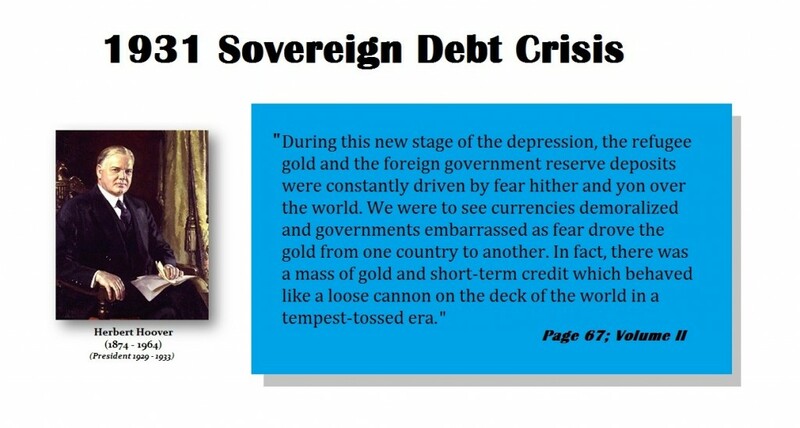 It is the CONTAGION that presents the most significant clear and present danger to society as a whole. This is what reshapes countries and politics. We saw in 1933 Hitler, Mao, and FDR all come to power.